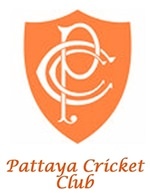 It was the return Eastern Seaboard Cricket League fixture against Kerala last Sunday, March 25, at the beautiful Thai Polo Ground and PCC were hoping for a repeat performance against the same opposition faced only two weeks previously, which ended in a convincing victory for the local side. Having been asked to bat first on a very hot and humid morning, Manik and Tiz made serene progress until a ‘yes, no, wait….ah sorry’ moment saw Tiz run out for an untroubled 12. Wezley Masterton soon found the middle of the bat with some sumptuous boundaries before another ‘yes, no, wait…’ moment and he departed for 24. At this stage of the innings Manik was beginning to wonder if he dare call for a run again. When Venky (7) turned a ball down to short fine leg Manik screamed ‘YES’ but in response Venky unwisely decided to amble a single, proceeding to watch the fielder gather the ball and throw to the non strikers end. He was run out by yards. This outcome was probably not unexpected as he had competed in a 10km run before the start of the game! However, he is also a dreadful runner between the wickets at the best of times and has form, as his captain keenly reminded him. Poor old Manik was now suicidal out in the middle. Reds Liddell (16) brought some much needed calmness to the crease with some assured calling and he and Manik (48) consolidated the innings as runs were accumulated at a healthy rate. Late order runs (24) from the PCC captain Simon Philbrook ensured PCC finished with a an impressive 179/9 from the allotted 25 overs. A team talk before taking the field from the PCC captain urged the bowlers to bowl full and straight, the fielders to be alert to any opportunity and for the Aussies in the team to not tamper with the ball. Andy Emery and Wezley opened the bowling in exemplary fashion. Regularly beating the outside edge the pressure mounted and Andy induced a top edge that was held acrobatically by the captain. Andy clean bowled the other Kerala opener and PCC were in command. Peter Gangur sensed a chance to strangle the chase and he duly obliged with two quick wickets from his miserly offspin. The target became increasingly distant as wickets continued to fall, aided by some stunning catches from the old timers Simon and Reds. A last wicket partnership that lasted 7 overs prolonged the inevitable result as Kerala finished on 98/9. The umpires inspected the ball for any inconsistent marks and deservedly Manik was awarded the man of the match trophy. 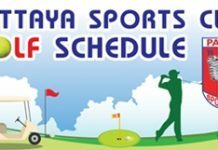 League games take a back seat until April 22 but this coming weekend PCC travel to Bangkok to take on the Royal Bangkok Sports Club.